Family fun and musical entertainment. It’s always important for women to take time for themselves. We often get busy taking care of other things and other people. We need a day like this to refresh us and help us regain the vitality we need to be effective in all areas of our lives. NOV. 9 PREVIEW NOW 24 HOURS! In appreciation of community interest we are extending the Preview by keeping the doors open 24 hours, so become an Original Member today! The initial 3,000 members will have the first opportunity to select their preferred time followed by subsequent Original members. Every member will be notified in early fall about the process for securing their timed tickets for the preview. Original Membership benefits apply through Nov. 11, 2012. Purchase your Membership by calling 479.418.5728 or by choosing your membership level at the website link above. Through meetings and seminars, NWA Bloggers seeks to equip blog writers in the Northwest Arkansas area with valuable information about search engine optimization, such as Google strategies and how to increase traffic to your site. Through knowledgeable guest speakers, the advice of successful local bloggers, and peer-to-peer mentoring, we will provide a forum for bringing opportunity to both our economy and community. Have You Heard of Last Night Fayetteville? A new New Year's Celebration taking place on the Fayetteville Square. life is too short to wear a bad outfit. We promote locally owned and independent businesses located on Block Ave. in downtown Fayetteville, AR. Eco-friendly lifestyle boutique offering quality organic clothing, Fair Trade gifts, and jewlery by local artists. home of Faytteville's favorite fruits, nuts, and cream puffs. Nightbird Books is an independent, locally owned bookstore. We are located on Dickson St in downtown Fayetteville, AR. Bella Vita Handmade Jewelry encompasses 3 very distinct collections of jewelry made from semi precious stones and metals and vintage glass and found objects. We create your dream event and all you have to do is show up! Southern Hospitality Management and Scarpino offer full scale event production, catering and lunch Monday-Friday 11:00 am to 1:30 pm. Our ambition is to bring vibrant, not beige, eco-friendly design to the masses. We want Red Clay, with help from you, to be the splash of color in the room. SPSFNWA creates BETTER, BRIGHTER futures for single parent families by offering ENCOURAGEMENT and ACCESS to higher education. We specialize in professional organizing, home staging, and relocation services in NWA. We help you achieve balance, customize your space, and restore order! Established in 2011, spark’s mission is to help those who have great ideas but need that extra push to get to the work they love. Starting as an idea and evolving into a full-fledged movement, spark highlights the importance of small business in today’s economy. 33% of Google+ users are women & 100% of us are awesome! Right now, Google Plus is populated mostly by men of the techie sort. This website was established to connect early adopter women in a new social networking platform. This weekend, there will be a unique art exhibition and lecture series featuring the artwork of Jay Benham, father of local entrepreneur/designer Brooke Benham, owner of Shop UltraStudios, and John Well-Off-Man. Dr. Bill Wiggins and Tom Tonemah will be speaking on Native American Art and The History of the Kiowa Tribe, respectively. 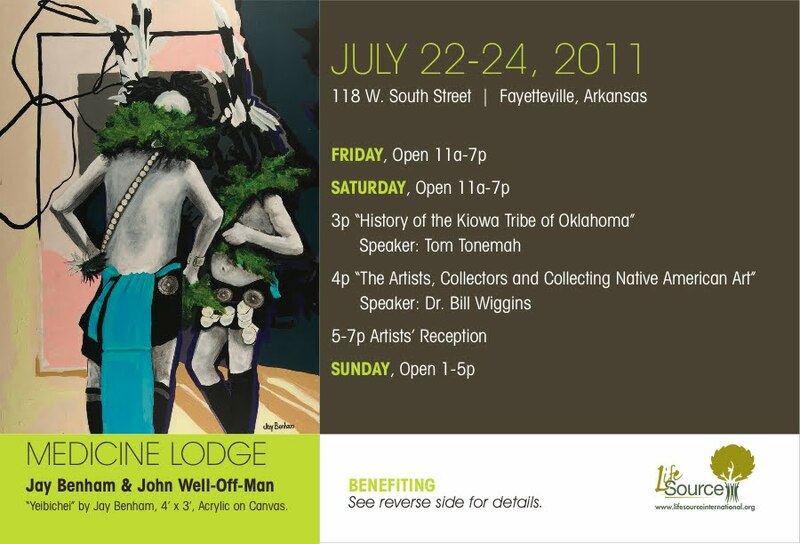 100% of proceeds from admissions, plus 30% of boutique sales during the Artists' Reception and 30% of all Medicine Lodge art sales will benefit http://lifesourceinternational​.org/! Please share with friends. I would love to have a strong PWN presence there for the Saturday reception to show our support! My name is Amanda Rey, and I, along with a small but dedicated team of volunteers in NWA, the River Valley, as well as Central AR, are in the midst of planning a charity event that will ultimately provide awareness for the Arkansas Emergency Disaster Relief Fund on an annual basis. Volunteers have been working diligently to repair and rebuild since the deadly tornado on May 25 that ripped through the small communities of Denning, Etna, Altus and Clarksville. Presently, it seems that attention, volunteer efforts and funding to the affected area have dwindled while costs and need for more of the aforementioned continues to rise. 2 months ago, our neighbors faced ravaging storms that swept through in the middle of the night and damaged their property beyond belief. To this day, the amount of debris in addition to new growth is overwhelming clean-up crews, some of which consist mostly of churches filled with teenagers on day trips. Your donations will help us raise the critical dollars to help our neighbors rebuild the homes and property lost in catastrophic natural disasters. Still needed in our state: weed eaters, work gloves, air conditioners, cots for the out-of-town volunteer workers, electrolyte replacement drinks for volunteers working in extreme temperatures, as well as continued volunteer response. 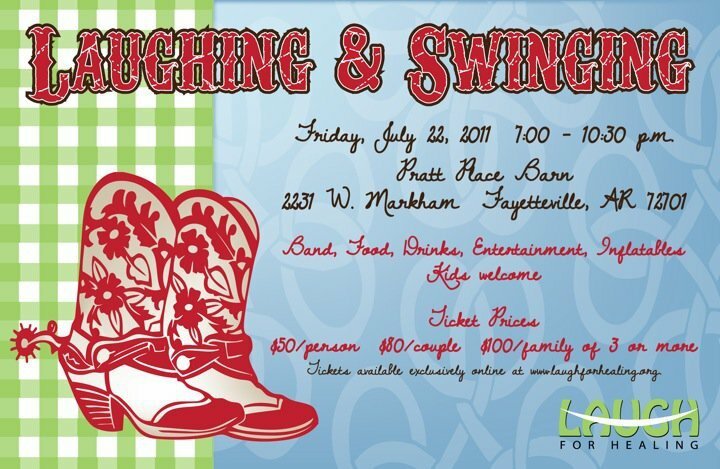 This event has the potential to be an annual music festival that will showcase some of the Natural State’s “natural talent”, as well as provide an excellent avenue for your business to participate in a yearly charity event that also helps to relieve some of the financial burden associated with recovery from catastrophic natural disasters. For more information on how you can help, please contact Amanda Rey. Big thanks to Sound Warehouse and the Fayetteville Public Library who are instrumental in getting the new “Local Music” section going in the library’s CD collection. Sound Warehouse donated the CDs and Fayetteville Public Library helped us make sure that $10 is being paid for each CD from a local artist. CEAG wants to set the model that artists should always be paid a fair rate for their work. Laura Speer, director of library services, put the CDs out last week and already there are only three left out of the initial 17 in the collection. That sounds like success to me. We hope to make the second set of 20 available in the coming week or so. Also, we are looking for digital copies of photos you might have of bands and shows from Fayetteville’s past. This might be incorporated in the Fayetteville documentary film project. Also we need our local music scholars to step forward to help write a one-page document on That Fayetteville Sound. You can e-mail Christopher Spencer if you're interested in helping. This is all building toward a Aug. 28 show at the Fayetteville Public Library that will feature a number of local bands. Check out the collection of local bands included here. Invite your family, friends and neighbors to join alumni as we travel to historic Altus! Tours include Wiederkehr Winery, Post Familie Winery & Vineyards, and St. Mary’s Catholic Church, cornerstone of Altus for over 150 years. Tickets are $25 plus lunch-on-your-own at Wiederkehr Winekeller Restaurant. Limited seating so book your tickets soon! Bus leaves Lot 44 ( the Pit) at 8:30 AM, returning to Fayetteville by 5:30PM. 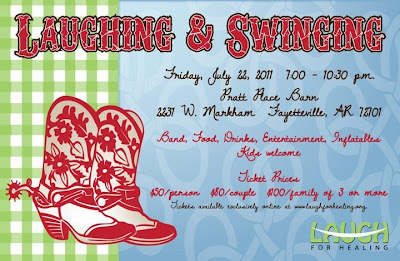 Visit http://nwa.arkansasalumni.org or call Julie Preddy at 479.575.6368 to make your reservation. Startup Weekend is an intense (and very kool) 48 - 54 hour event which focuses on building something from scratch which could form the basis of a credible business over the course of a single weekend. The event brings together people with different skill sets, i.e., developers, graphic designers, marketers, consultants, and business professionals in general to build websites, mobile applications or other new products and develop a commercial case around them. 9:30pm – Start to formalize teams and take an inventory of skills. Be honest, and direct about what resources and skills are needed for the weekend. 9 – 10:00pm -Finish and wrap up for the day. 7:00 pm – Wrap up & Go home! Startup Weekend is proud to announce Startup Weekend Northwest Arkansas! This is the FIRST Startup Weekend event in the state of Arkansas. Entrepreneurs, developers, startup enthusiasts, marketers, graphic artists, legal minds, students, etc. are invited to attend the first Startup Weekend event to be hosted in the state of Arkansas at NorthWest Arkansas Community College from April 29 – May 1st at the new Shewmaker Center for Global Business Development. This is a state-of-the art facility with plenty of space and high-speed internet access. In addition to sponsors, we are seeking volunteers to help with conducting this event. Rosen Method movement classes are fun and easy! Set to music, these easy, unhurried movements are designed to improve alignment and flexibility. They also increase range of motion, ease of breathing, and deepen awareness of the body. These movements are done individually as well as in a circle or with partners. Marion Rosen developed this form of exercise to prevent physical difficulties before they arise and to help her clients feel better and age gracefully. The Movement teacher takes the students in the class through a series of exercises designed to use all the joints, especially those not used in day-to-day life, to make sure the synovial fluid continues to lubricate them. These movements may be adapted to those who experience pain or have physical limitations. Rosen movement offers a vision of health and well-being that enables us to live openly and fully. It has achieved international recognition for its demonstrated ability to alleviate muscular tension and pain, in addition to improving posture, flexibility and self-esteem. Rosen movement classes facilitate pleasure and ease in movement for people of all ages and walks of life. Classes are preventive as well as restorative. The movements open the chest and free the diaphragm so oxygen can circulate freely to all the tissues of the body. Circulation is increased in all joints through loosening the muscles as they are moved through their available range of motion. The addition of music makes the movements more like dancing, and thus more complex and fun, allowing the development of greater balance and coordination. Rosen Method movement creates the experience of relaxation and well-being in action. Participants find new vitality, joy, and ease in their bodies. Block Street Business Association is ready to party! Get more details in this article on The Fayetteville Flyer. We want to celebrate everything that makes Block Street so funky and diverse. On May 22, 2011, we’re throwing a big block party, featuring local art, three music stages, a mobile bug unit, prayer flag making, beer gardens (ABC approval pending), fun activities like tie-dying, mustache painting and tutu making, a hot dog eating competition, friendly waiting race and SO MUCH MORE. We want you to be part of the fun. Remember, bring the weird! N. Block Ave., Fayetteville, AR 72701, no later than April 30, 2011 for consideration for approval. The informal overarching mission of Professional Women's Network is to build relationships with area businesswomen, promote community involvement and inspire one another in general. PWN of Washington County meets every third Tuesday of the month at 11:30 a.m. at NIGHTBIRD BOOKS in downtown Fayetteville (205 W. Dickson St.). Click here to send an announcement for posting, or click here to sign up for PWN updates.